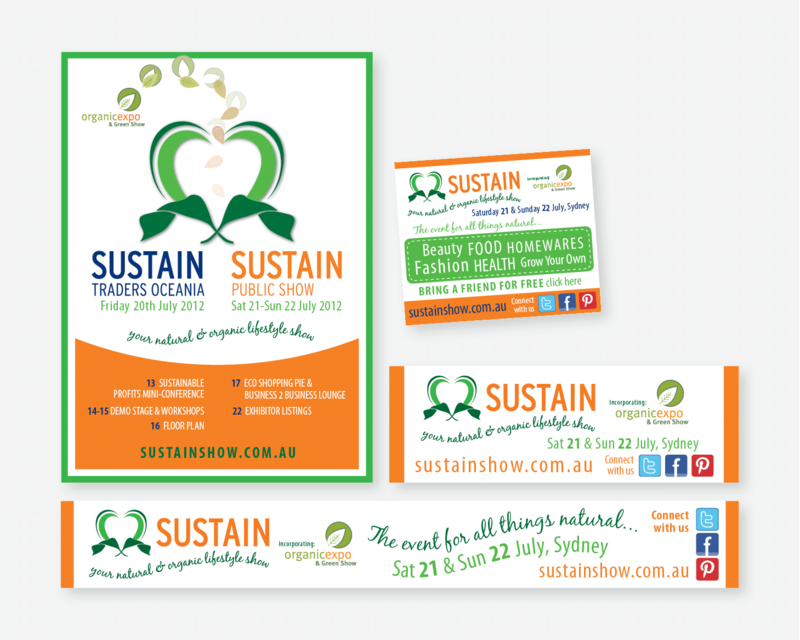 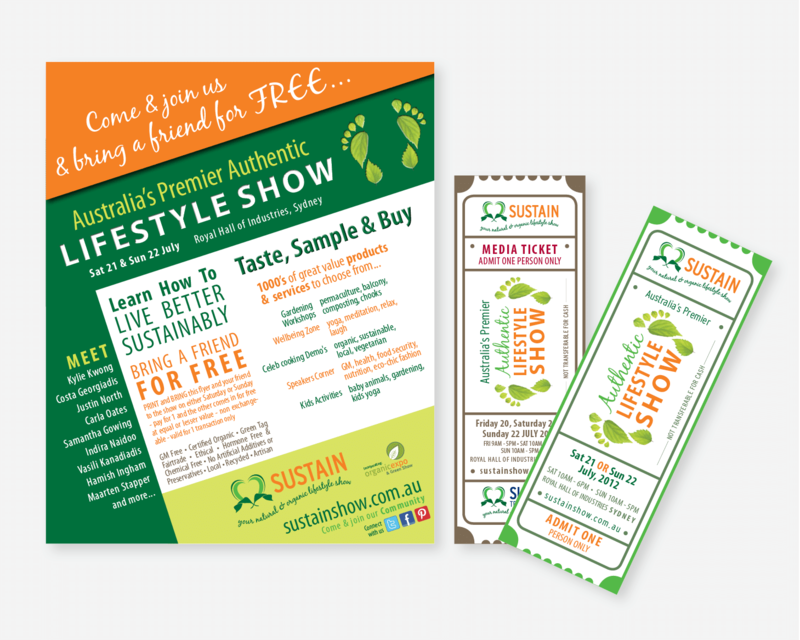 Design Brief: Design of promotional and advertising material for a large Sydney Expo on sustainable living. 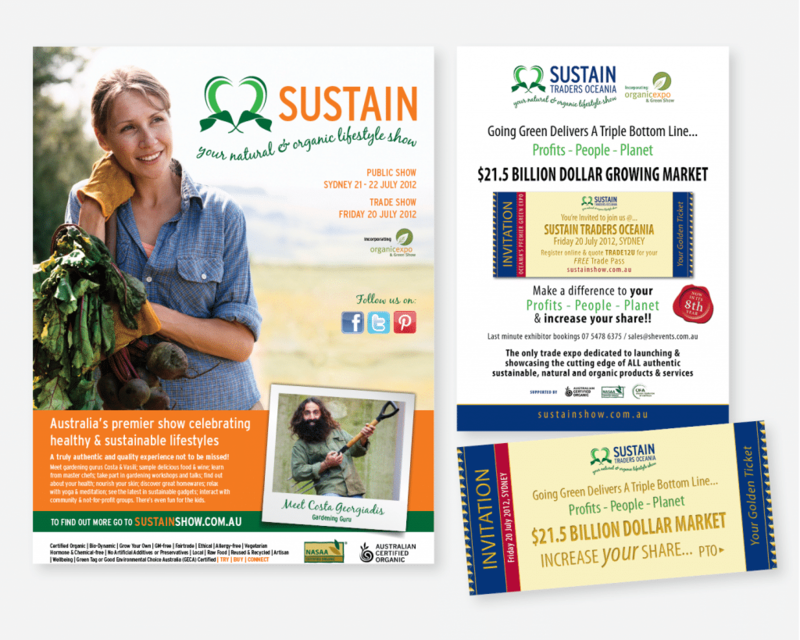 Scope: A4/A3 show posters; various show tickets; DL flyer; web and print advertisements; email invitation flyer; large drop banners. 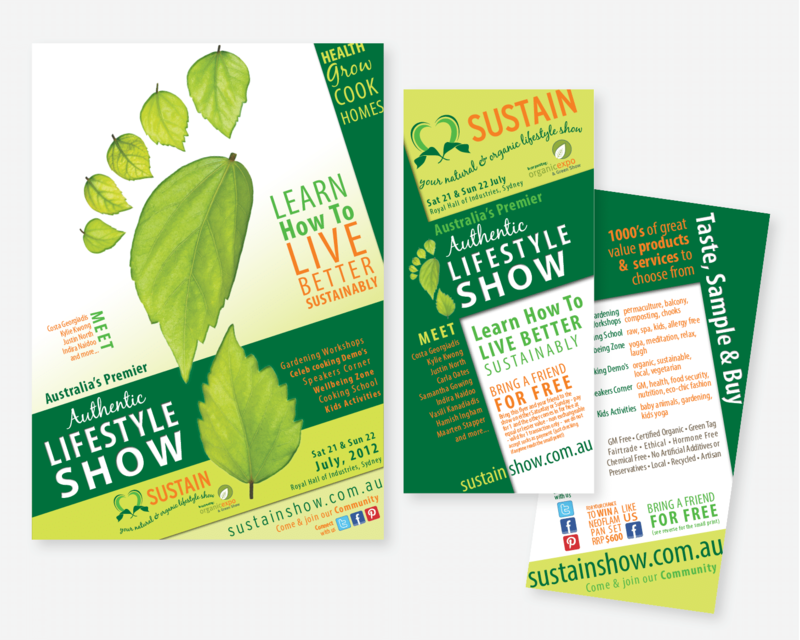 Details: The Sustain Expo is a large Sydney based event with approximately 6000 to 8000 punters attending each year.